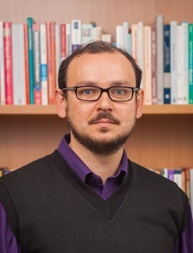 Leandro Soares Indrusiak is a faculty member of University of York's Computer Science department (Lecturer 2008, Senior Lecturer 2013, Reader 2016), and a member of the Real-Time Systems (RTS) research group. His current research topics include real-time systems and networks, on-chip multi and many-cores, distributed embedded systems, high-performance computing and several types of resource allocation problems (in computing, manufacturing and transportation). He has published more than 150 peer-reviewed papers in the main international conferences and journals covering those topics (nine of them received best paper awards, the last one at DATE 2018). He has graduated nine doctoral students, currently supervises two doctoral students and four post-doc research associates, and is always keen to discuss about open problems with potential PhD candidates. He is or has been a principal investigator in projects funded by EU, EPSRC, DFG, British Council and industry. He serves as the department's Internationalisation Advisor, and has held visiting faculty positions in five different countries. He is a member of the EPSRC College, a member of the HiPEAC European Network of Excellence, a senior member of the IEEE, a member of the editorial board of ACM Transactions on Cyber-Physical Systems, and a member of York's Sciences Faculty Board. He graduated in Electrical Engineering from the Federal University of Santa Maria (UFSM) in 1995, obtained a MSc in Computer Science from the Federal University of Rio Grande do Sul (UFRGS) in 1998, and was issued a binational doctoral degree by UFRGS and Technische Universität Darmstadt in 2003. Prior to his appointment at York, he held a tenured assistant professorship at the Informatics department of the Catholic University of Rio Grande do Sul (PUCRS) (1998-2000) and worked as a researcher at the Microelectronics Institute of TU Darmstadt (2001-2008). Feb 2019 - Open PhD topics on: real-time many-cores, real-time IoT (Internet of Things), application-specific multiprocessor, high-performance and cloud computing, evolutionary computation. 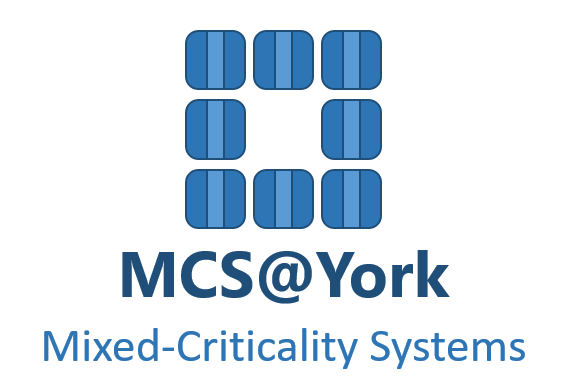 Jan 2019 - Organising the 14th International Symposium on Reconfigurable Communication-centric Systems-on-Chip (ReCoSoC 2019) in July here in York. Jul 2018 - Papers accepted to GECCO and RTCSA conferences, and to Real-Time Systems and ACM Transactions on Cyber-Physical Systems journals. Pre-prints available here: GECCO (1), GECCO (2), RTCSA, RTSJ and TCPS. Mar 2018 - Best paper award at DATE 2018: L. S. Indrusiak, A. Burns, B. Nikolic: Buffer-aware bounds to multi-point progressive blocking in priority-preemptive NoCs. Pre-print available via White Rose repository. Jan 2018 - Papers accepted to DATE, SAC and PDP conferences. Pre-prints available here: DATE, SAC, PDP (1) and PDP (2). Nov 2017 - PhD studentship available in the area of Reliable Real-Time Wireless Networking for Fractionated Autonomous Systems under my supervision. Jul 2017 - New articles published in the following journals: Real-Time Systems, Leibniz Transactions on Embedded Systems, Microprocessors and Microsystems and EURASIP Journal on Embedded Systems. Jul 2017 - Best paper award at ReCoSoC 2017: L. S. Indrusiak, J. Harbin, M. J. Sepulveda: Side-Channel Attack Resilience through Route Randomisation in Secure Real-Time Networks-on-Chip. Early version available via arxiv. Jul 2017 - Open PhD topics on: Multiprocessor platforms for embedded systems, Real-time IoT (Internet of Things), Application-specific multiprocessor, high-performance and cloud computing. Jun 2017 - Invited to be a keynote speaker at the 12th International Symposium on Reconfigurable Communication-centric Systems-on-Chip (ReCoSoC 2017). Feb 2017 - Article on multi/manycore dynamic resource allocation accepted to ACM Computing Surveys, pre-print available via White Rose repository. Feb 2017 - Invited to be a keynote speaker at the 15th International Workshop on Real-Time Networks (RTN 2017). Nov 2016 - Published a book on Dynamic Resource Allocation in Embedded, High-Performance and Cloud Computing with former postdoc researchers Piotr Dziurzanski and Amit Singh. 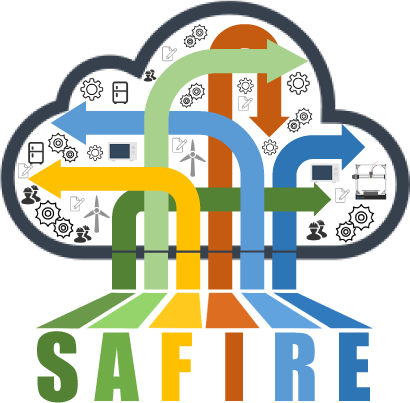 October 2016 - Starting two new projects: EU H2020-funded SAFIRE and EPSRC-funded MCCps. October 2016 - Promoted to Reader. July 2016 - Best student paper award at SIGMAP 2016: H. R. Mendis, L. S. Indrusiak, Synthetic Workload Generation of Broadcast related HEVC Stream Decoding for Resource Constrained Systems. May 2016 - Best paper award at IEEE ISORC 2016: P. Dziurzanski, A. K. Singh, L. S. Indrusiak, Energy-Aware Resource Allocation in Multi-Mode Automotive Applications with Hard Real-Time Constraints. Feb 2016 - Paper on fast network-on-chip simulation and dynamic energy estimation published in the Journal of Systems Architecture. Jan 2016 - Organising DREAMCloud Workshop, co-located with HiPEAC Conference. July 2015 - Invited to be a keynote speaker at RTNS in Lille (Nov 2015) and EPEW in Madrid (Sep 2015). May 2015 - DreamCloud project is the cover story of May's edition of Networking+ magazine. May 2015 - Papers accepted at ECRTS, SAMOS, ReCoSoC, HPCS, INDIN and SEEA conferences, and in ACM Transactions on Design Automation of Electronic Systems. Apr 2015 - DreamCloud project covered by ComputerWorld UK. Mar 2015 - Speaker at Dagstuhl Seminar on Mixed Criticality on Multicore/Manycore Platforms. Oct 2014 - Keynote speaker at YDS 2014. Sep 2014 - Invited talk at the Brazil Korea Forum on Science, Technology and Innovation. July 2014 - Edited book on Embedded Systems Design. June 2014 - Paper on end-to-end schedulability of priority-preemptive Networks-on-Chip published in the Journal of Systems Architecture. May 2014 - Best paper award at ReCoSoC 2014: B. Sudev and L. S. Indrusiak, Low overhead predictability enhancement in non-preemptive network-on-chip routers using Priority Forwarded Packet Splitting. March 2013 - Recruiting another post-doc researcher for DreamCloud, more information here. September 2013 - EU-funded DreamCloud project started, now recruiting two postdocs. July 2013 - Serving on the Programme Committee of the 1st International Workshop on Mixed Criticality Systems (WMC). June 2013 - Papers accepted at SAMOS, EuroPar, ReCoSoC, ISVLSI and VLSI-SoC conferences, as well as the International Journal of Distributed Sensor Networks. Jan 2013 - Serving as Technical Program Chair to ISVLSI 2013 - IEEE Computer Society Annual Symposium on VLSI and SoC 2013 - International Symposium on System-on-Chip. Dec 2012 - Best paper award at IEEE NESEA 2012, with Ipek, James, Fiona, Paul and David. May 2013 - Full doctoral scholarship available on Energy-efficient Manycores, jointly supervised by myself and Andreas Hansson from ARM (EPSRC eligibility rules apply). Oct 2012 - Published proceedings of ReCoSoC 2012 on IEEE Xplore. Mai 2012 - Guest editor of a Special issue of JSA on Network-based Many-core Embedded Systems. Feb 2012 - Updated lists of open PhD, MSc, MEng and BEng projects. Oct 2011 - Invited talk and tutorial at the International Symposium on System-on-Chip 2011. Jun 2011 - Blog with some views on embedded real-time systems research and education. Apr 2011 - DATE paper on fast and accurate NoC TLM simulation models - paper (at IEEE Xplore) and slides available. Mar 2011 - Paper on abstract models for MPSoC power estimation published on the March/April issue of IEEE Design & Test of Computers. Oct 2010 - Paper on abstract models for MPSoC power estimation accepted to IEEE Design & Test of Computers. Preprint available. May 2010 - Panel moderation at ReCoSoC 2010: Programmability of Reconfigurable and Communication-centric SoCs: are we doing any better?